A 94-year-old woman was the victim of an attempted robbery in Heckmondwike. 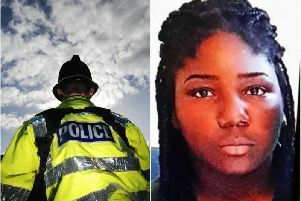 At around 2pm on Friday, May 15, the victim was on the footpath between the town centre and Morrisons when she was approached from behind by a woman who grabbed hold of her handbag and tried to take it from her. The elderly woman kept hold of her bag and there was a struggle in which she was pulled to the floor. A passer-by came to help the victim and the suspect ran off in the direction of Market Place, past the Wike Horse Pub. A West Yorkshire Police spokesperson said the woman was shaken, but not injured, and was checked over by ambulance staff at the scene. The suspect is described as being about 20-years-old, around 5ft 6ins tall and of slim or medium build. She had long dark wavy hair and was described as having blotchy skin and wide eyes. Anyone who may have witnessed the incident, or who has any information about it, should contact Detective Constable Richard Brooke in Kirklees District CID on 101.